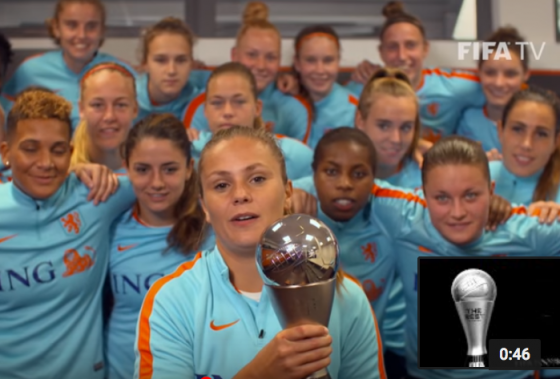 Oranje’s Lieke Martens has been named best female football player in the world by world football body Fifa. Martens was not at the ceremony in London to receive the award because she and the rest of the team are in training ahead of tonight’s World Cup qualifier against Norway. Dutch coach Sarina Wiegman was named the best Fifa’s women’s coach with the organisation praising the ‘brand of attacking football that brought an end to Germany’s run of six successive European trophies’.